Ronnda Eileen Henry read a lot of history, biography, science fiction, and Regency romances when she was young, and her two favorite authors are Jane Austen and Aleksandra Layland. She has the heart of a romantic and believes romance is for people of any age. Sweet romance is her favorite, whether it's for a teenager or a person in his or her middle age. Retired now, she lives in Florida. Edmund, A Knight of Selby: A Romance Novella is an epic fantasy novella written by Ronnda Eileen Henry. Kora and her husband, Manfred, were eagerly anticipating the marriage of their only son, Edmund, to Nelly, the youngest daughter of their old family friends, Reynold and Amanda. The families had known each other for generations, having all had the rural Fells as their homeland. Kora's and Manfred’s families had left the country and settled in Selby Town where Manfred had a thriving business, which he hoped to bequeath to his son and heir. Reynold and Amanda still lived in the country, in Selby Springs. The two families had visited as often as they could, which was infrequently owing to the distance separating them and the cost of traveling, but the impending nuptials remained a shared goal. As Nelly had just turned 16 years old, and Edmund was a year older, the families had jointly decided that they should formalize the relationship. There was only one problem, however; neither Edmund nor Nelly were exactly keen on the plan. Edmund had dreams of becoming a palace guard, and Nelly had spent their last visit hiding away from the boy who delighted in pestering her. 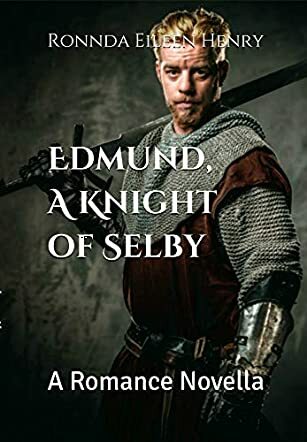 Edmund, A Knight of Selby continues the saga about Penruddock island and the inhabitants of its six kingdoms. Edmund and Nelly are marvelous characters who symbolize the newest generation of islanders; a generation that is moving away from the concept of arranged marriages and parentally-planned and traditional futures. I cheered as Edmund rebelled against the idea of assuming his father’s life as a small business owner and family man, and empathized with Nelly as she cringed at the thought of being yoked eternally to the boy who pushed her into the mud. Watching as the two of them make their own way through life is entertaining indeed, as has been each of the preceding Penruddock Saga novellas I’ve read. Henry’s characters are finely drawn and believable, and her depiction of an evolving culture is brilliant. Edmund, A Knight of Selby: A Romance Novella is most highly recommended.